Precious metals have become increasingly important for investors since they tend to hold value more than paper currency. They also have industrial applications, such as being used in auto manufacturing or jewelry. Depending on its purity, it could be used as an investment. Given the upswing in the price of precious metals, particularly palladium, it is becoming increasingly important to know how to get the most out of the metal. Melting it down for various uses, whether it is to be used in industrial applications or for a store of value, it's very important to know how to do this. Put on protective gloves when casting metal, and wear welding glasses to protect your eyes from the intense light and heat of the melting process. Use torch heat and begin melting a palladium bullion at a heat of 1554.9 Celsius, or 2830.82 Fahrenheit. The bullion is placed in the cast to begin the heating process. Torching the bullion can be completed once the metal is entirely melted. Cast the metal into a platinum-grade ceramic crucible, where it will sit for a while before the cooling process begins. 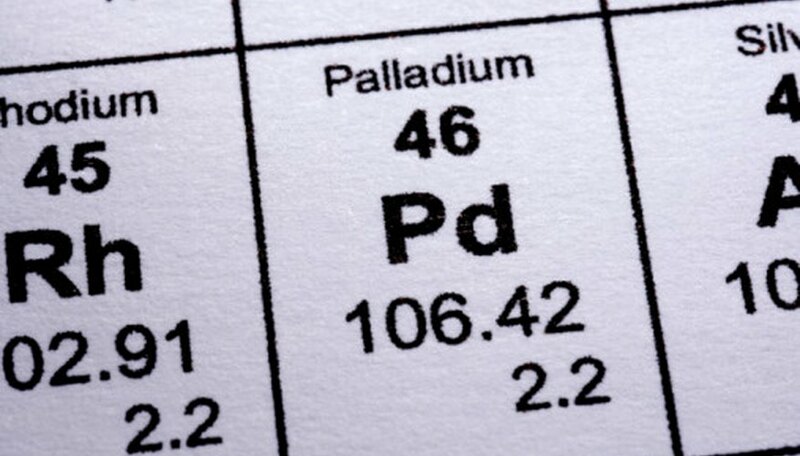 After the palladium is melted and begins cooling, pour it into an ingot mold to set the metal into its desired shape. It freezes fairly quickly so make sure it is in the shape you desire. Use the protective gloves to help you shape it. Chris Ciaccia is a former oil and gas hedge fund analyst who has been writing since 2008. He has been published in "Miner's Choice" and online at BenZinga. He graduated from Seton Hall with a Bachelor of Science in business administration and finance and a minor in communications. Ciaccia, Chris. "How to Melt a Palladium Bullion." Sciencing, https://sciencing.com/how-to-melt-a-palladium-bullion-12402221.html. 26 September 2017.